Again named a Top Doctor in 2015 by Northern Virginia Magazine. Dr. Monahan was also named Top Doctor in 2013 & 2014. He earned his medical degree at the Bowman Gray School of Medicine at Wake Forest University 1981, after graduating from Cornell University. He completed his Internal Medicine residency while on active duty at Letterman Army Medical Center, CA, in 1984. He then served as a general internist in the US Army stationed in Germany, and received the Robert Moser Award for the Top Internist in the US Army. In 1990 he completed his Gastroenterology fellowship at Brooke Army Medical Center, TX. Next he served as chief of Gastroenterology at Womack Army Medical Center at Fort Bragg, NC. 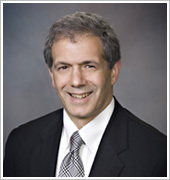 Since 1993 he has been with Fall Hill Gastroenterology Associates. 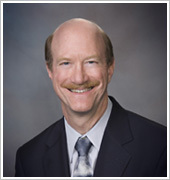 He is board certified in Gastroenterology since 1991 and a Fellow in the American College of Physicians since 1998. He has served as Endoscopy Committee Chief at Mary Washington Hospital. Dr. Monahan lives with his wife and family in Spotsylvania.and enjoys tennis, waterskiing and computer gadgets. As a military dependent growing up he lived in many places, but he calls Virginia home. Named a Top Doctor in 2013 by Northern Virginia Magazine. He is a graduate of Robert Wood Johnson Medical School, N.J in 1985. He completed his Internal Medicine Residency at the Medical College of Pennsylvania in 1989. He later served as Chief Resident of Internal Medicine at Episcopal Hospital, Philadelphia. His Gastroenterology Fellowship was completed at the Boston Veterans Administration Medical Center in 1991. He became Board Certified in Gastroenterology by the American Board of Internal Medicine in 1991. He spent nine years working for the Geisinger Medical Group in Pennsylvania prior to joining Fall Hill Gastroenterology Associates in 2000. He is the Medical Director of Fall Hill Endoscopy Center. Dr. Mastri resides with his wife and four children in Spotsylvania. He is active in the public school system and coaches youth soccer. He is an avid photographer. His special medical interests include gastrointestinal and liver diseases, diagnostic and therapeutic endoscopy, video capsule endoscopy and colon cancer screening. Dr. Barbara J. Arcarese is a graduate of the New York College of Osteopathic Medicine, Old Westbury, NY. She completed her residency in anatomical and clinical pathology at St. Luke’s- Roosevelt Hospital in New York, NY in 2007. 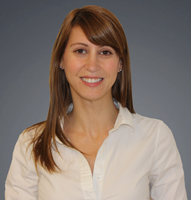 In 2009 she completed her fellowship in Surgical Pathology at the Yale University School of Medicine, Bridgeport hospital, Bridgeport, CT. From 2009 to 2011 she worked as the Blood Bank Director and a clinical/anatomical pathologist with Central Connecticut Pathology Consultants in New Britain, Ct.
Dr. Arcarese resides in Richmond, VA with her husband, a cardiologist, and 2 children. 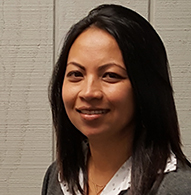 Sanita is a Board Certified family nurse practitioner. She graduated from Chamberlain College of Nursing, Chicago, IL in 2016. She received her Bachelor in Science of Nursing from B.P. Koirala Institute of Health Sciences, Nepal in 2003. She has dedicated more than 10 years of her life in caring patients with utmost creativity, best knowledge, skills and experiences to address patient’s issues and problems to deliver most efficient care. 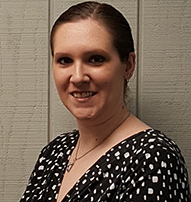 She is a member of American Association of Nurse Practitioners and Society of Gastroenterology Nurses and Associates, Inc.
She resides with her husband, a Pediatric Cardiologist and 2 children in Stafford, VA. She enjoys cooking, decorating and spending quality time with her family. Michele is an AANP Certified Family Nurse Practitioner. She was the first in her family to graduate with a College Degree. She graduated with her RN from Sentara School of Health Sciences in Chesapeake, VA in 2007, her BSN from East Carolina University School of Health Sciences in Greenville, NC in 2011, and her MSN in Family Nurse Practitioner from Walden University in Minneapolis, MN in 2016. She is dedicated and compassionate about patient care and has been in the health care field for over eleven years. She is a member of the American Association of Nurse Practitioners, the Society of Gastroenterology Nurses and Associates, Inc., and the Virginia Council of Nurse Practitioners. She currently resides with her husband, cat and dog in Fredericksburg, VA. She has two step-children and two grand-daughters living in Gates County, NC. Her interests include cooking, nutrition, and physical fitness.